Talented sculptor Mark Richards has been commissioned to create the Vernon Monument. 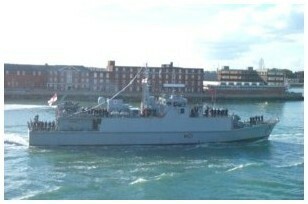 The Spinnaker Tower, on the former site of HMS Vernon, opened to the public on 18 Oct 2005. Read a wide variety of dits and stories and look at photos on MCD-related subjects. © MCDOA Copyright 2002-2019. All rights reserved.